As usual, this pattern is made in the same style as my Ragdoll patterns; separate pieces worked in flat rows and then joined together to give them that unique 2-D look. Love Monster has 14 separate pieces, so there is a fair amount of sewing and assembling involved. This pattern also incorporates the tapestry (or intarsia) crochet technique and, as mentioned, has a lot of colour-work. The finished measurement is approximately 28cm/11″ from the top of the antennae to the bottom. Everything is worked in single crochet stitches. So, in order to indicate the colour-changes, I have omitted the usual “sc” in front of the stitch counts in any lines with colour-changes and I’ve used the associated colour letter instead. For example, “Rdec” means to work a sc decrease in Red yarn. “R4, P4” means to work the next 4 sc in Red and the next 4 sc in Pink, and so on. Start with Pink fuzzy yarn. The panels are worked from the bottom up. Now we will start the colour-work for the heart. Rows 22-26 of the Love Monster are completed entirely in Pink. Now we will start the colour-work for the mouth. The rest of the Love Monster is completed entirely in Pink. The back panel is made exactly the same as the front panel EXCEPT the entire panel can be worked in Pink (i.e. no colourwork). In Red with 3.25mm hook, the arm panels are basically one long row of a single stitch (1 st worked on top of the next). Repeat rows 1-18 for second panel. Do not tie off second panel. Put both panels together, matching up all sides. Chain 1 and sc around the entire piece. You don’t need to stuff the arms. Slst to beginning st to close. Tie off. Repeat for second arm. Set these aside for assembly later. In Red using 3.25mm hook. Repeat rows 1-13 for second panel. Do not tie off second panel. Put both panels together, matching up all sides. Chain 1 and sc around the entire piece. (Sc, ch, sc) into each corner. You do not need to stuff the legs. Slst to beginning st to close. Tie off. 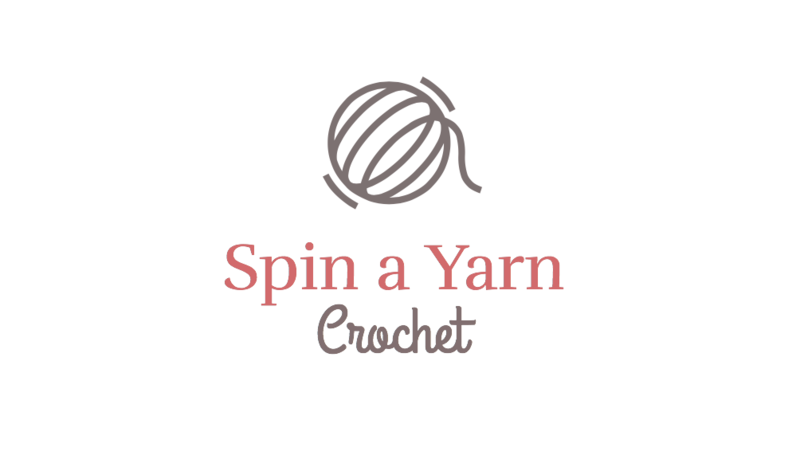 Repeat the above for the second leg, BUT make sure when you are crocheting around the second leg, that it is facing in the opposite direction as the first so that the crochet edging is facing out on both. In Red using a 3.25mm hook. Repeat rows 1-13 for second panel. Do not tie off second panel. Put both panels together, matching up all sides. Chain 1 and sc around the entire piece. (Sc, ch, sc) into each of the bottom corners. Stuff when you’ve crocheted about two-thirds of the way around. Slst to beginning st to close. Tie off. Repeat for second antenna. The first thing I did was cut out small circles from a piece of white felt, just slightly bigger than the 12 mm safety eyes. Fold each circle of felt in half and make two small cuts in an ‘X’ shape slightly off centre (i.e. not directly in the middle of the circle but more toward the side). Next, insert the 12mm safety eyes into the white circles, then position them on your Monster and insert them through the front panel and fasten. To finish the eyes, use a sewing needle and white sewing thread to stitch around the white felt circles to secure them. Finally, I decided to add some little teeth to my Monster. I simply cut out teeny little triangles and sewed them onto the black mouth section. Don’t worry about making them all uniform; the more jagged, the better! Okay, cut off six lengths of the Pink Pipsqueak yarn about 30cm/12″ long each and set them aside for later. Starting on the left side, in the middle of the head begin attaching the panels together by chaining one and single crocheting around the outside of the panels starting in Pipsqueak. Stop when you get to the bottom of the head/top of the shoulder and pull up a long loop. With your tapestry needle and a length of Pink yarn that you set aside earlier, place the first arm between the panels and attach it by sewing through all three pieces; the top panel, the arm, and the bottom panel. When finished, tie a knot to secure and hide the yarn tails between the panels of the body. Stop when you get about halfway down the body and pull up a loop. Using another length of Pink yarn that you set aside earlier, attach the first leg the same way you did for the arm. Continue crocheting down and around the body. When you get to the leg, remember, you can crochet the stitches of the front panel only, since it is already sewn shut. Continue crocheting both panels together as usual when you get passed the leg. Once attached, continue crocheting up the body and stop about halfway. Attach the second arm. Once attached, continue crocheting up the body and stop when you get about halfway up the head. Now place the first antenna and attach the same way you did for the arms and legs. Continue crocheting around. Stop about halfway across the top of the head. Top up stuffing. Attach second antenna the same way you did for the first. You should now only have a very small hole in your Monster (below the antenna but above where you started). Finish topping up stuffing! Use the back of your crochet hook to push and even out the stuffing if you need to. Took 2 days to complete the project.